Zenit St Petersburg striker Hulk was taken to hospital for medical care after suffering a head injury during the club's 3-1 defeat at the hands of Shakhtar Donetsk. Hulk was taken to a local Dubai hospital near the club's training camp and it is said that he required 'seven or eight stitches' to seal the wound. The 26-year-old was through on goal midway through the second halfy when he when he fell under a challenge and connecting his head with a Shakhtar defender's studs. 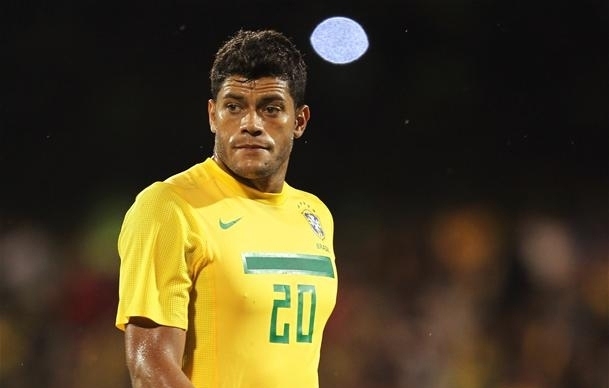 Hulk has been called up to Luiz Felipe Scolari's first Seleção squad to face England at Wembley in two weeks time. Despite the injury there are no suggestions that he will miss any games and should be fit for the friendly which has been organised to celebrate the FA's 150th anniversary. Hulk is set to prove his doubters wrong after a turbulent first half of the season, with spats with fellow teammates and boss Luciano Spalletti.